Click on the Play Button and 'Boss Rush Apocalypse' will start after this message... Thanks for waiting! Romeo, oh, Romeo is dead and turned into a zombie! Juliet made a pact with the devil in order to bring him back. 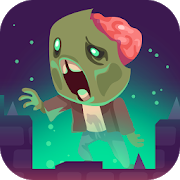 Face all kinds of strange creatures in the underworld and manage to save Romeo's soul! Join Lethal and his elite warriors in a fantastic adventure. Complete 6 main quests, 10 side ones and make parties of up to 4 players. Fight the most dangerous monsters and manage to win - good luck! A hungry army of skeletons has kidnapped Jake! Help Finn and his friends save him from the bad guys. Help Davion the warrior save the land of Medania from the dark side facing hordes of monsters and completing challenging quests. Backyard Heroes is an adventure RPG! Beat the trolls who wants to rule the world by using special skills! Grow your arsenal by winning epic battles, gain XP and power up your fighting or healing skills! Win all 3 difficulty levels to increase your chances to get precious items! Get ready to fight dangerous monsters and strange creatures! Grab an axe, a giant sword or a jetpack and become the greatest warrior. Good luck!